After an extremely busy 2018 we have had a couple of months in this New Year to compose ourselves and spend time on some very exciting developments. These include our new website and fancy new Harrogate Showroom. 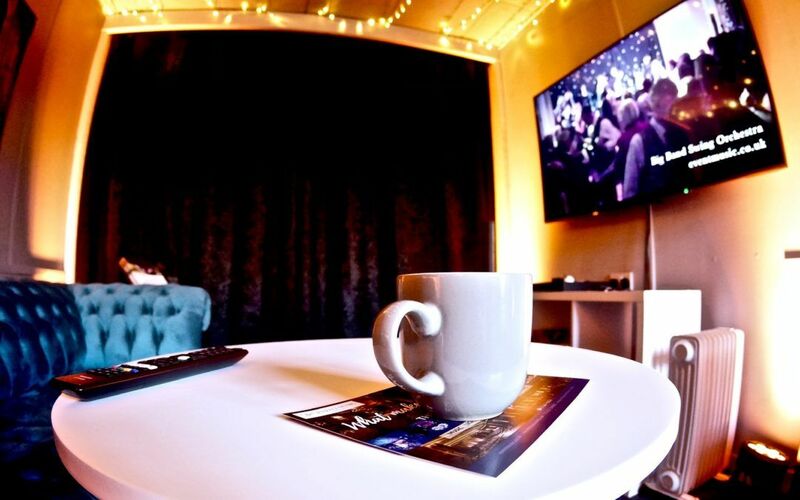 We thought we would sum up the events of 2018 and explain the developments of the company over nearly 20 years! Violinist, Chris Hilton started out the music company in 2000 as just a trio (violin, cello and piano) and string quartet, which later evolved into offering jazz groups too. 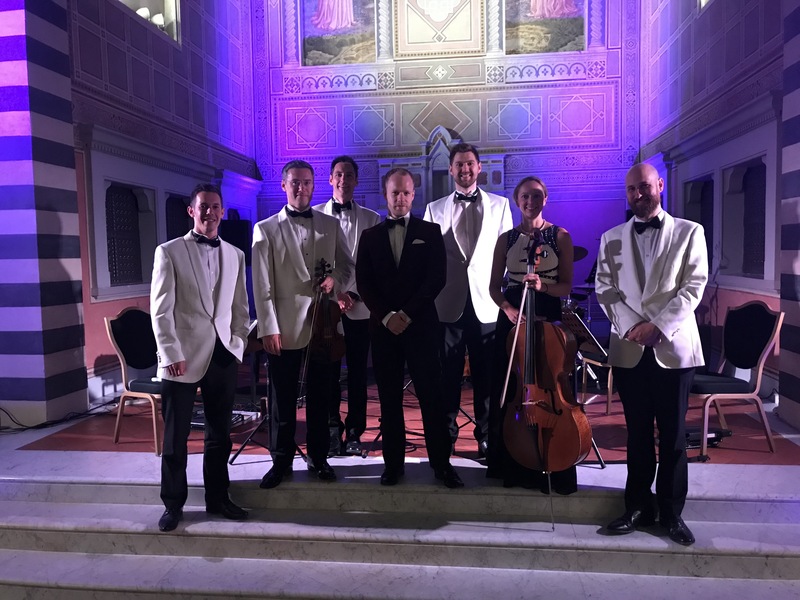 The company’s swing band and DJ then developed into Chris Hilton’s Little Big Band – the band that can be completely tailored, varying in line-up from a five piece to a 20 piece. We now offer all production aspects too, including our own dance floors, lighting and complete project management. 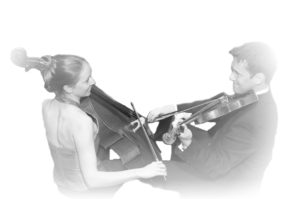 The Event Music Company offers nothing less than the unique combination of exceptional live music and complete event production, run by our amazing dream team, Chris and Lucinda Hilton, violinist and cellist of Trio Vivo. 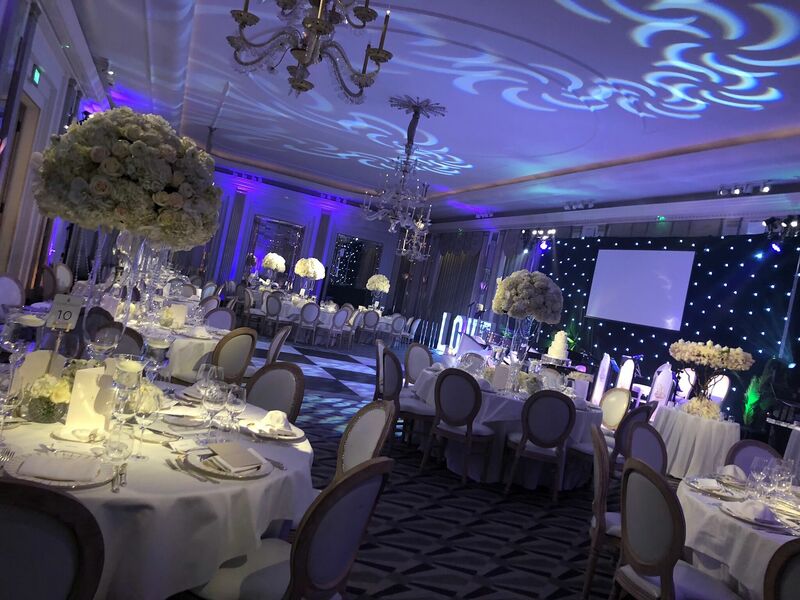 A Diamond Wedding Anniversary Party in Claridge’s, London. 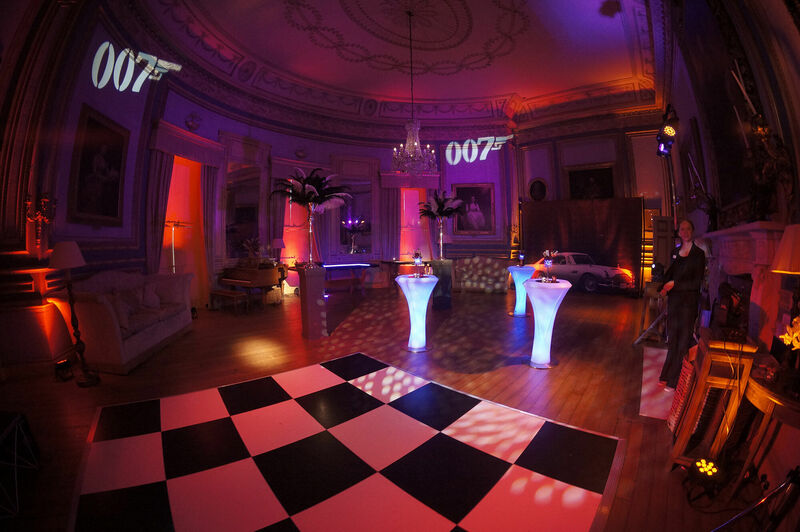 The party was fit with a bespoke 10-piece band and complete production. 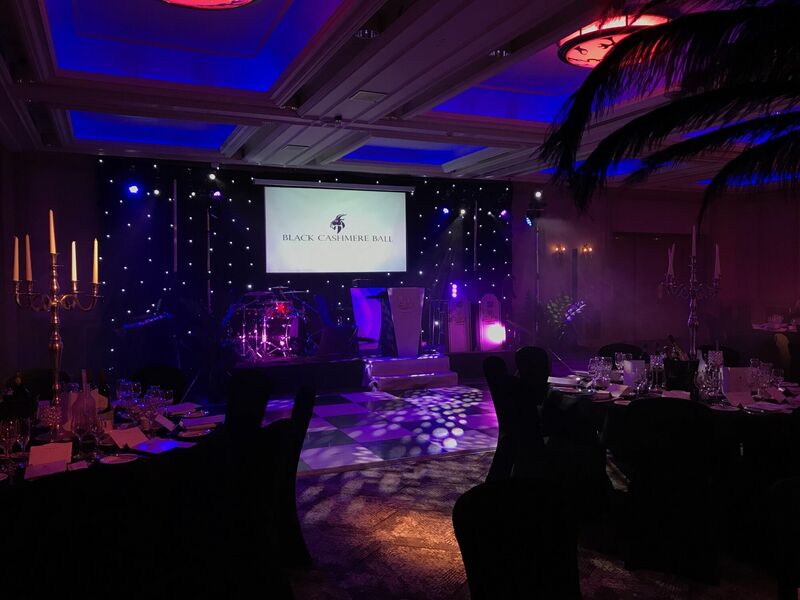 Macmillan Charity Black Cashmere Ball at Oulton Hall – Chris Hilton’s Little Big Band plus table centres, dancefloor, lighting and production. 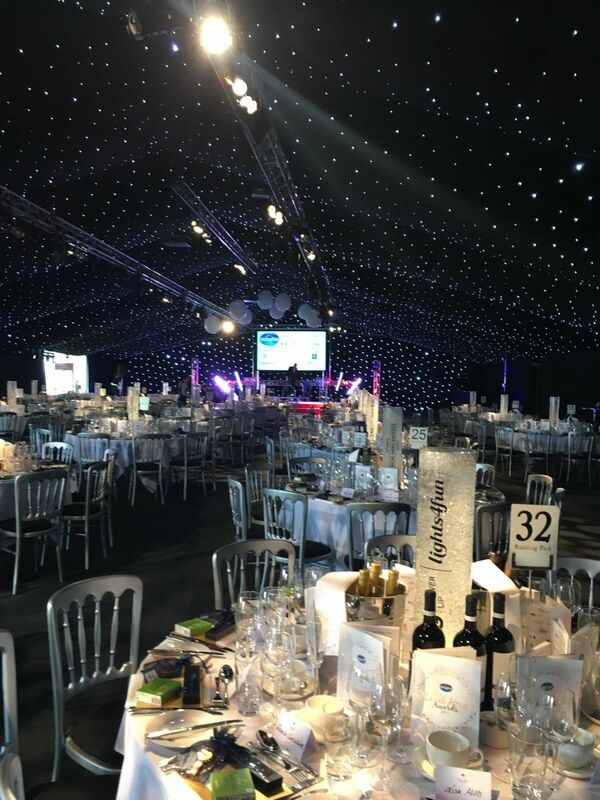 A James Bond Themed Corporate Awards Ceremony at Swinton Park: complete theming, table centres, lighting, AV and DJ/sax for the party. We love to tailor what we do to fit in with whatever the occasion or plans. Our own Showroom in Harrogate, which opened February 2019, is a superb place to meet for a chat and to see any photos or videos of interest. We will also be having our own LIVE music open evenings in the very near future.